A glass mosaic tile with rich, nature-inspired hues. Gold swirls throughout the sheet to add a luxurious look to any interior and exterior wall space. 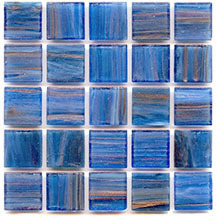 The variety of color choices is a perfect compliment to bathroom and pool designs, with light dancing on the glass tile. A glass tile that is sure to revitalize any space. 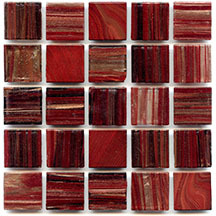 Mosaic blends inspired by the vibrancy of nature.